Tata Power Solar as India's largest integrated solar solutions provider has rightfully earned the title on their core mantra of always maintaining the project timelines and executing within tight budgets. Always the first choice for the Government agencies when it comes to executing solar power projects, Tata Power Solar's unwavering commitment to the core values continue to lead and pave the way to harnessing the power of sun and enabling solar energy in the remotest of locations across India. The case study showcased here is a shining example of how Tata Power Solar has leveraged its capabilities to touch the lives of millions in the beautiful Leh valley who for centuries have struggled to have ready access to energy for basic necessities – be it light, hot water or electricity. The local renewable energy agencies and MNRE recognized the villages that were devoid of any sustainable source of energy, partnered with Tata Power Solar to design solar power project that powered over 100 villages where grid connectivity was next to impossible. To solarize these many villages sprouting between Leh and Ladakh spread over a wide region, posed an enormous gamut of challenges due to the weather, altitude and topography of the region. Tata Power Solar proposed microgrids as a solution to power cluster of villages as well as provide decentralized solar power system to villages in the remote area. 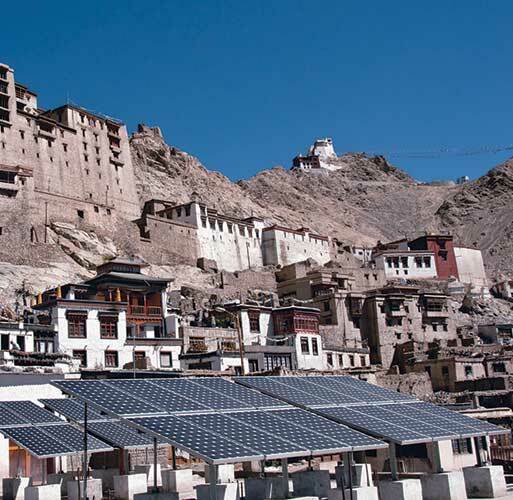 During 2009-13, a total of 86 microgrids of 5kWp-115kWp, with an aggregate capacity of 1MW were installed across remote and inaccessible villages in both Leh and Kargil. The installation of these solar powered microgrids brought an irreversible change through the region with access to a sustainable source of energy. In addition to these microgrids, Tata Power Solar also commissioned lighting projects to over 300 villages spread across. As part of this, over 15,000 home lighting systems were installed, which include solar lanterns, home lighting systems and street lighting systems. With altitudes averaging at 18,000 ft. and temperatures averaging at -20°C during winters, to reach the project sites, mules and yaks carried solar panels across the high, non-motorable passes of the mountains. To counter these challenges, Tata Power Solar developed components of the solar power plant that are compact and easy to transport. For example, size of the battery was reduced to allow its transport by mules and yaks on the rough terrain and allow larger quantities of batteries across without compromising the power output. As the climatic conditions of the Leh and Kargil region is such that it renders no access to these locations for 6 months a year, maintenance of these projects was a big challenge. 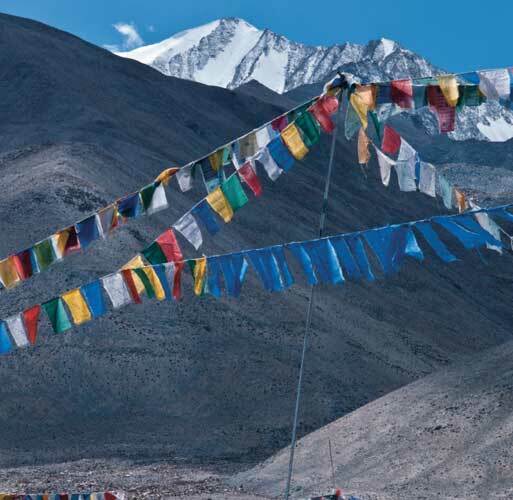 Tata Power Solar accounted for these challenges and provided for the unruly weather of Ladakh by maintaining a sufficient stock of spares at the site. The community that has self-sustained in the remote region for centuries did not hesitate to readily accept this new renewable source of energy – which has allowed Tata Power Solar to successfully implement the project and bring about this change. The entire region of Leh and Ladakh has witnessed an irreversible change to the entire communities in that region which would not be possible without Tata Power Solar executing a flawless plan and implementing a successful project to power hundreds of villages and enabling solar everywhere. Over 3.5 mn units of power has been generated in the last 2 years that has lighted up over 35 villages (including schools and institutions), contributing to an offset of over 3000 tons of CO2 per year. People now enjoy over 8 hours of uninterrupted power supply per day where you can hear the sounds of television in every home which has considerably improved the quality of people’s lives. Tata Power Solar continues its journey and efforts to bring solar energy and make it accessible.